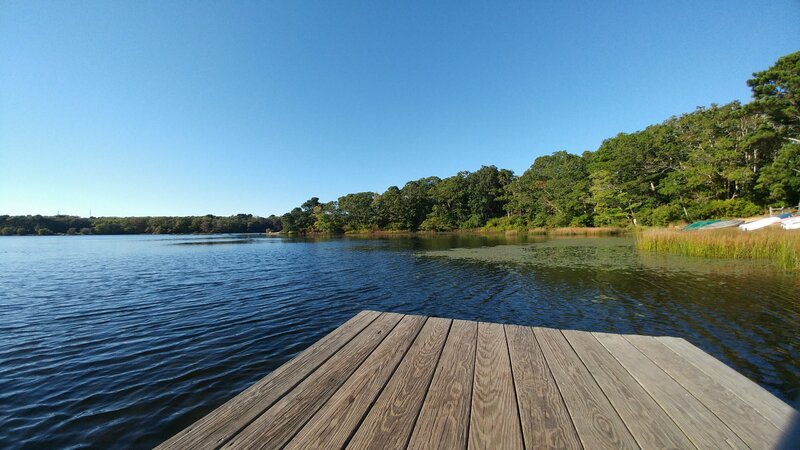 After weeks of short stays, it was great to stop for a full week in Cape Cod at Sweetwater Campground – especially since I sick. 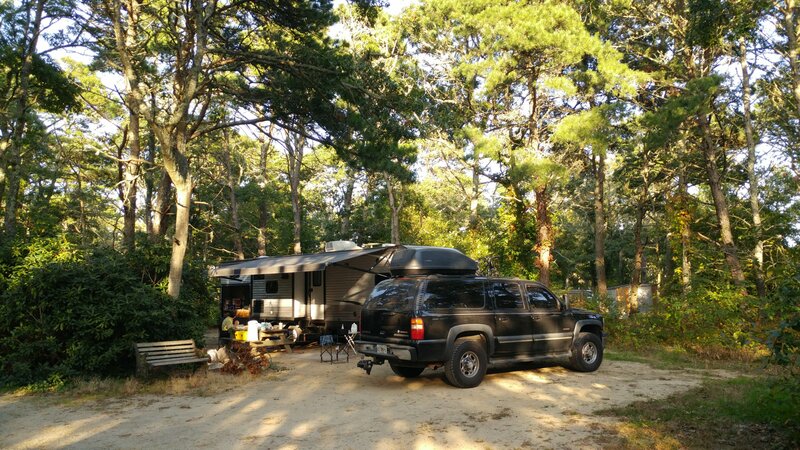 Located in the heart of Cape Cod, Sweetwater Forest Campground is a beautiful place to set up camp – campsites we’re spaceous and far apart. It can be a bit confusing to navigate, so I highly recommend calling them to arrange a campsite (their online directions are confusing if you’ve never been there). It’s great for families with a beautiful lake and fun playgrounds for the kids. The only downside for me isn’t their fault but there isn’t a fast food place or large grocery store that’s really close (being from Orlando, I’m used to having four grocery stores within 10 minutes of my house). Other than that, I highly recommend this park. 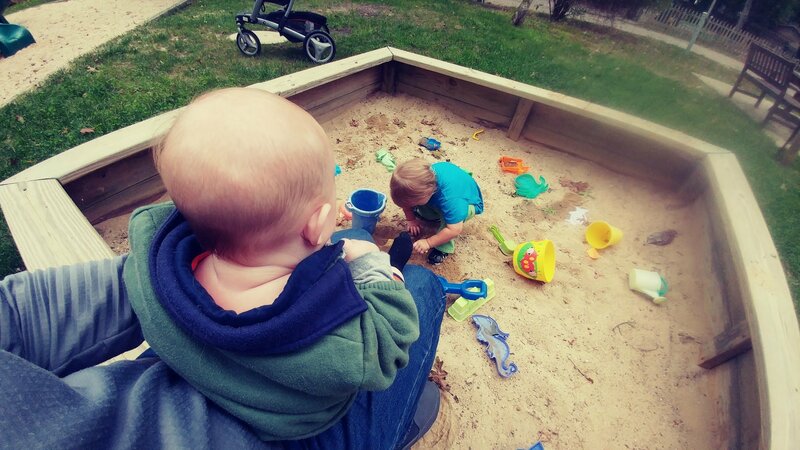 On our first day, Damon took the boys and explored the campground, which gave me some much needed time to rest. I felt a lot better by the end of the day. 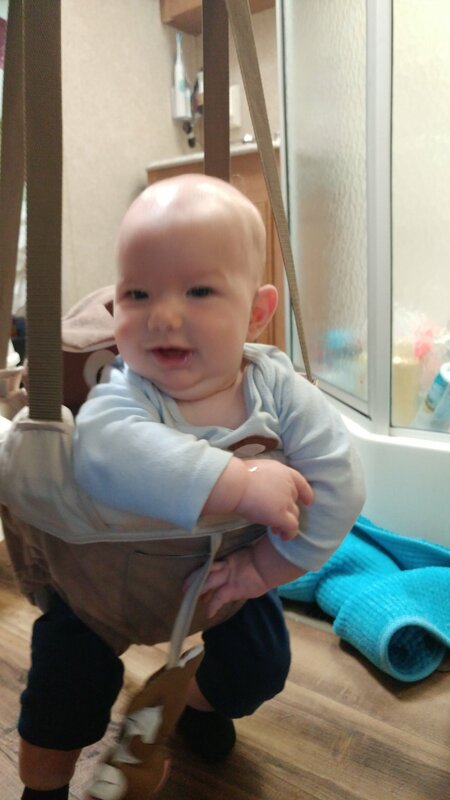 Finally got little-dudes bouncer installed and he loves it! The next day was a bit gloomy out, so we used the time to restock and finish some projects, including our water leak! Turns out that one of the valves was loose. Once we tightened it, the leak disappeared (thank goodness for an easy fix – we have too many other big ones to solve at the moment). 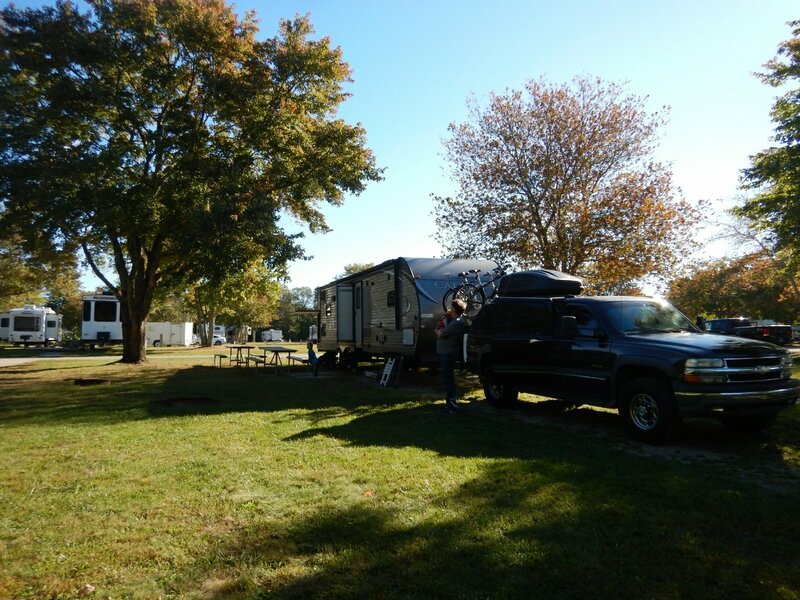 The next few days were all about relaxing and enjoying the campground. We were so tired from the constant travel that it was great to just enjoy time together as a family. One of the highlights was their gorgeous lake. Mini-man loved walking there and discovered throwing rocks into the water. 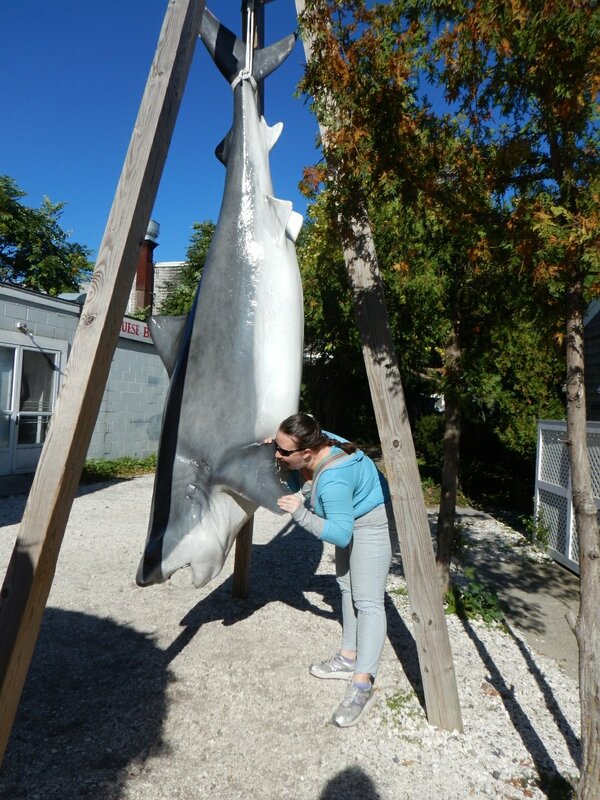 A friend of Damon’s recommended that we visit Provincetown, about an hour from our campground. Once we parked, we walked around and stopped at ‘The Post Office Cafe and Cabaret’, food by day and the best entertainment in Provincetown by night. 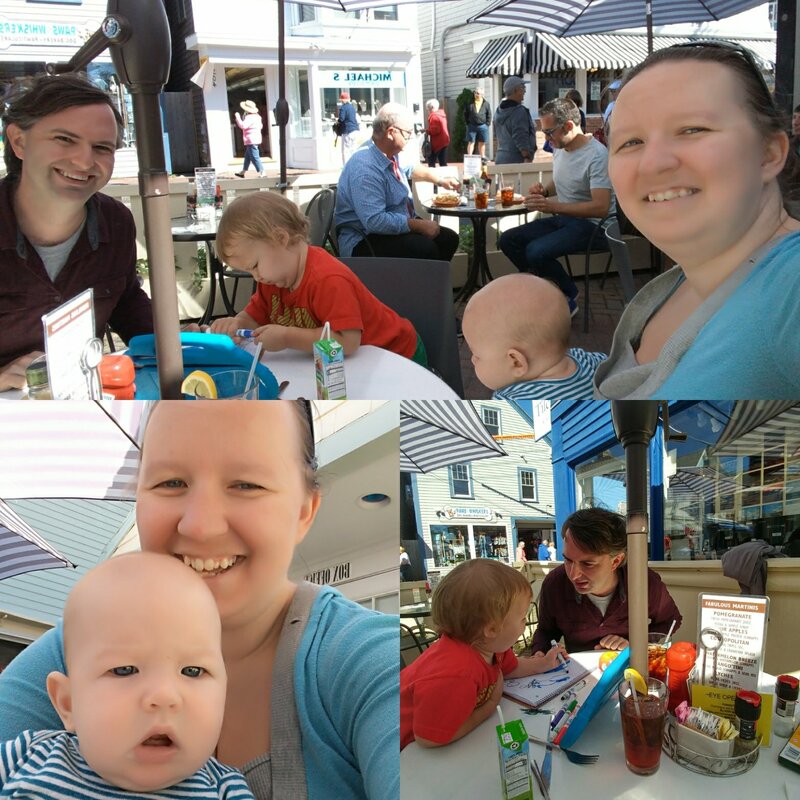 We stopped here so we could enjoy some local seafood outside and get mini-man some toddler aimed food (i.e. french fries 😝). Overall, not a bad place. It took a while to get any service and it wasn’t always clear who was serving. I ordered the lobster-crab cakes, which I’m pretty sure we’re shrimp, not lobster and okay for that (never really been a fan of shrimp). 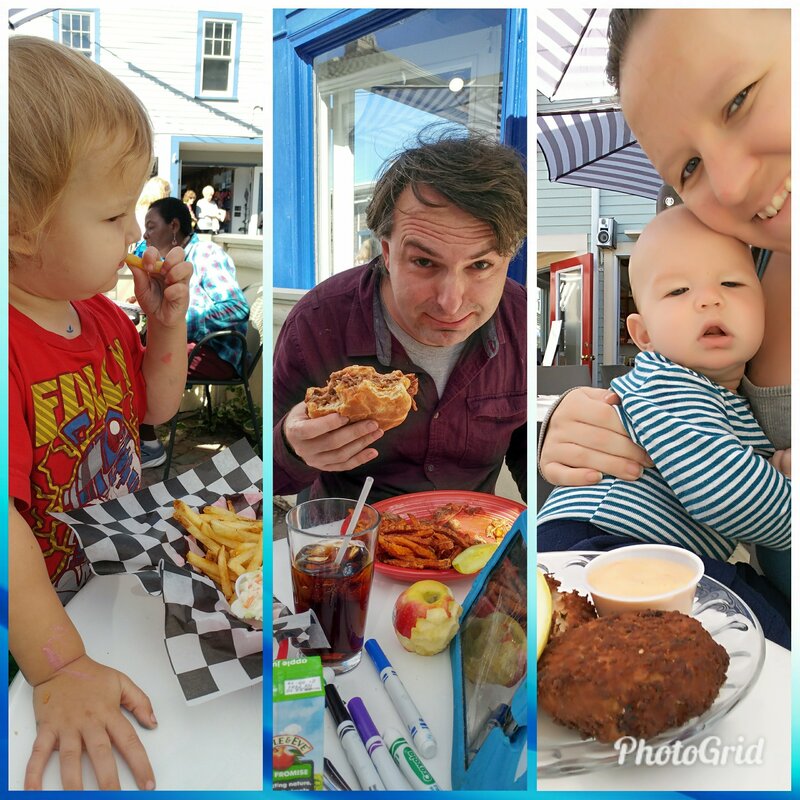 Damon got a cup of clam chowder and the pulled-pork sandwich – both of which were fine. It took a while to get refills and our bill (the servers kept disappearing and generally weren’t that friendly). We enjoyed the experience but probably wouldn’t go back. 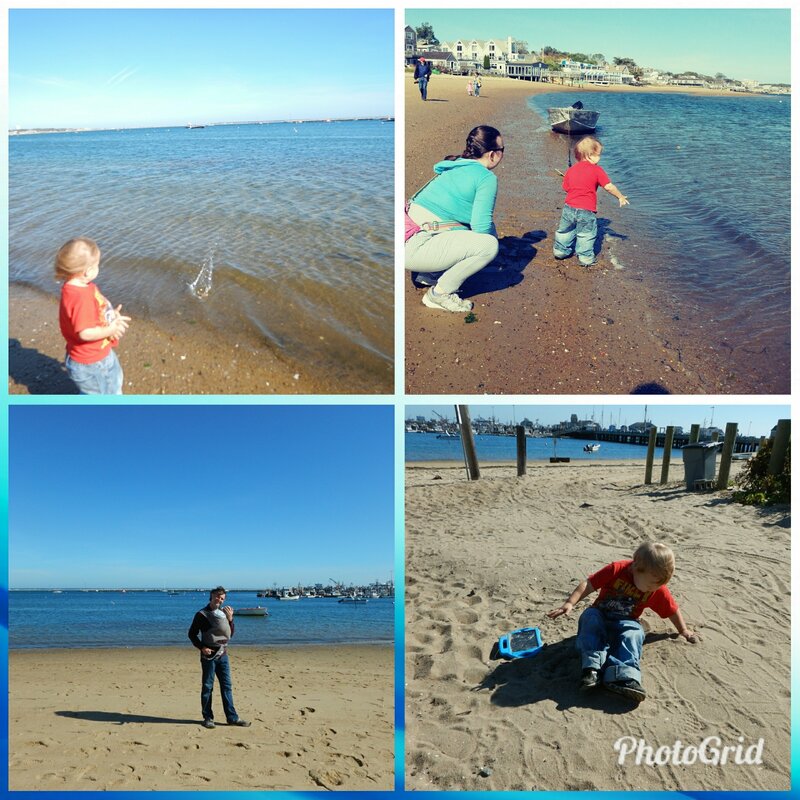 Afterwards, we decided to walk the boys over to the beach (can’t visit cape cod without visiting the beach). 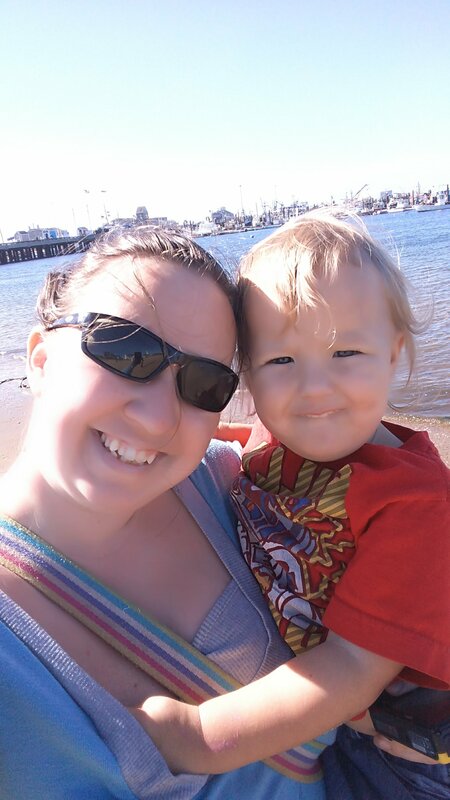 The weather was beautiful and perfect for a walk on the beach. 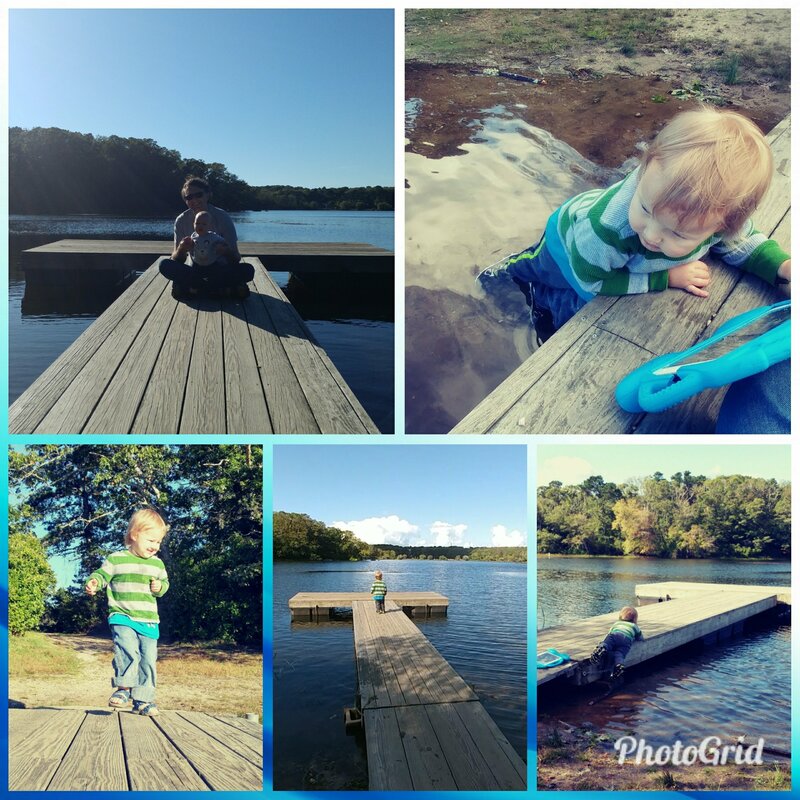 Of course, mini-man had to throw some rocks into the water. 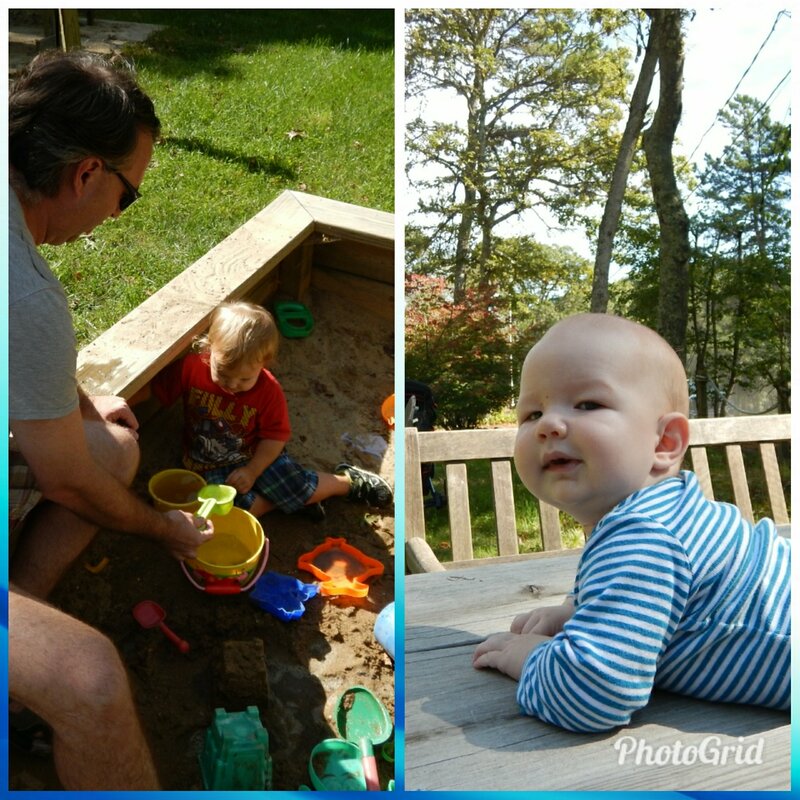 However within a few minutes, both boys showed signs of wanting naps. 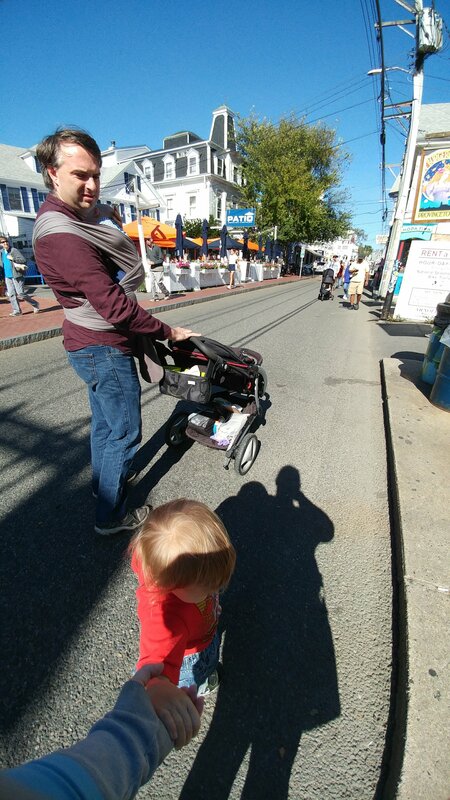 So Damon carried little-dude and I pushed mini-man in the stroller, and went for a walk through the town. Both were asleep within minutes. After enjoying a short walk, we headed back to the car. While we enjoyed our time, we had an hour drive ahead and still needed to make dinner. We spent our last day at Sweetwater playing with the boys and finishing some last minute projects. This was definitely what we needed to rest up from lots of traveling. 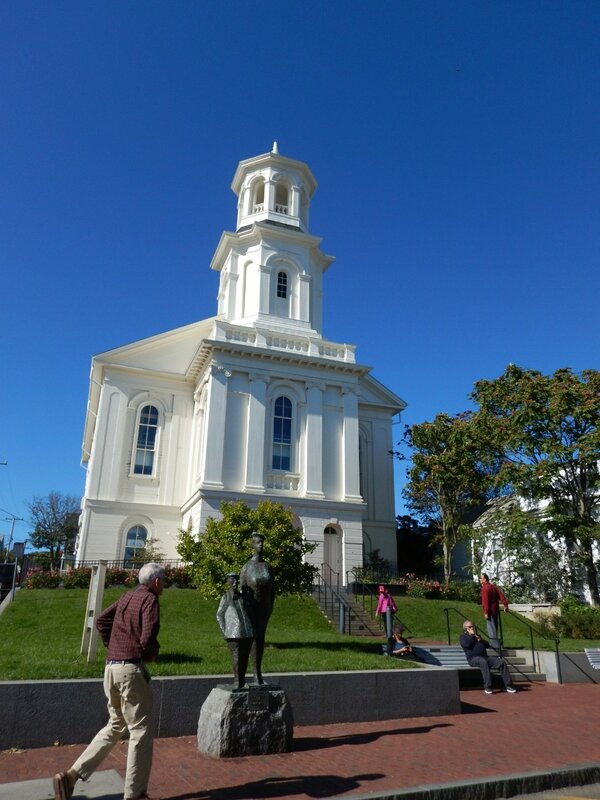 Now we are ready to get to our ultimate destination – Springfield, Vermont. With projects out of the way and feeling rested, we’re hoping to get to see a lot of this area.